Ever since the invention of Botox in the 1980s, women (and dudes) everywhere have been dabbling in the magic elixir to cheat the aging process—aethetically, at least. Of course, Botox is not literally a magic elixir, but instead a neurotoxin that temporarily "prevents the communication between your nerves and your muscle," explains Mara Weinstein, MD, a dermatologist at the Schweiger Dermatology Group. In other words, Botox paralyzes the injected muscle, usually for a period of three to six months. "Therefore, if you try to frown, you won’t be able to, which is not a bad thing," says Weinstein, who adds that some studies have actually shown that regular treatments with the neurotoxin can enhance mood and fight depression. 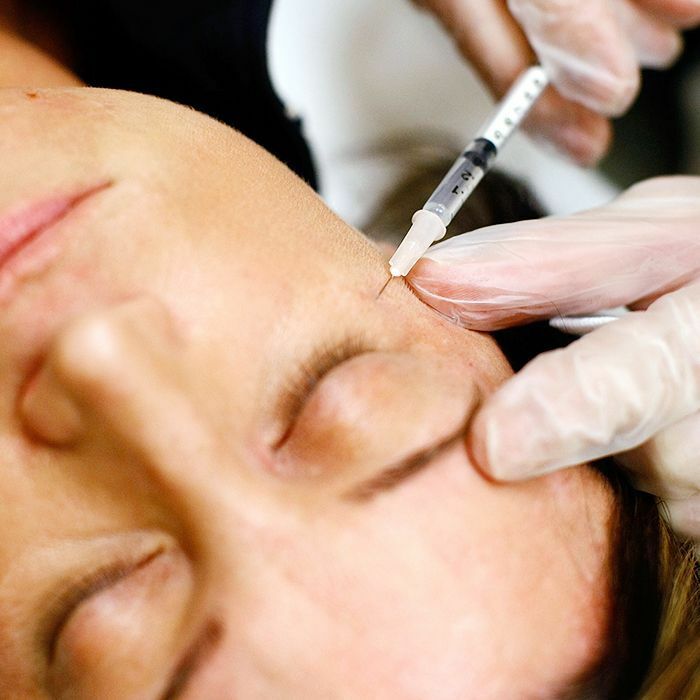 For anti-aging purposes specifically, doctors use Botox to treat two types of wrinkles: static and dynamic. Static lines are the deep wrinkles that are etched into people's faces after several decades of frowning, smiling, and raising their eyebrows, while dynamic wrinkles are only visible as you're making a facial expression. "The goal of treatment is to prevent the formation of static lines altogether," Weinstein says. "However, if you already have static lines, regular treatments with neurotoxin (and filler) can certainly soften the appearance and in some cases, eliminate them in the long run." Here's the thing, though: Because the drug has only been around for 30 years, there aren't a lot of stories about the long-term effects of Botox. Which are legitimate concerns. To find answers, we consulted Weinstein, as well as the legendary dermatological surgeon Patricia Wexler, MD. Curious about the effects that Botox can have on your skin after 10 or more years of use? Just keep scrolling. If you didn't move your legs for 20 years, eventually those muscles would shrink and become quite weak. The same thing can happen to the muscles in your face. "If used regularly, over a prolonged period of time, without interruption, eventually the muscle will atrophy from lack of use," says Wexler. That's not to say your entire face will atrophy: "As the Botox is injected in discrete locations on the face, eventually only those treated muscles will atrophy, leaving other muscles to maintain full volume," Wexler maintains. Wexler says that some patients complain of a visible thinning of the skin after many years of Botox use. That might mean exposure of subdermal veins between areas of normal thickness. This isn't common, but Wexler says that patients who start Botox "too early," like in their early 20s, can be at risk for this side effect. In these cases, "The skin of the forehead [can] get prematurely thinner, and muscles weaker," she says. Sometimes, after many years of use, this can even result in the look of heavier brows and eyelids, "making the toxin actually more difficult to continue using." Again, not typical, but Wexler says that with the skin thinning, some patients notice "a visible waviness of the skin overlying the muscles treated," as well as discoloration. "On expression, the forehead may even appear like hills and valleys," she says. Luckily, this side effect is totally preventable. "[It] can be avoided by changing the pattern of injection to give smaller amounts of toxin in a more uniform distribution to get an identical effect without this problem, or stopping the toxin for an extended period of time," Wexler says. Aside from what "can" happen after long-term use of Botox, one thing is for sure: "If you continuously get Botox for 10+ years you will certainly look much younger and have fewer wrinkles," promises Debra Jaliman, MD, a New York City–based dermatologist and author of Skin Rules: Trade Secrets from a Top New York Dermatologist. "Your skin will look much smoother and the appearance of fine lines and deep wrinkles will be greatly diminished." Weinstein agrees, adding, "You can age gracefully without having any wrinkles on the forehead, glabella, or around the eyes, when you may have had the propensity to develop them. That’s the beauty of Botox." Not quite sure if Botox is your thing? 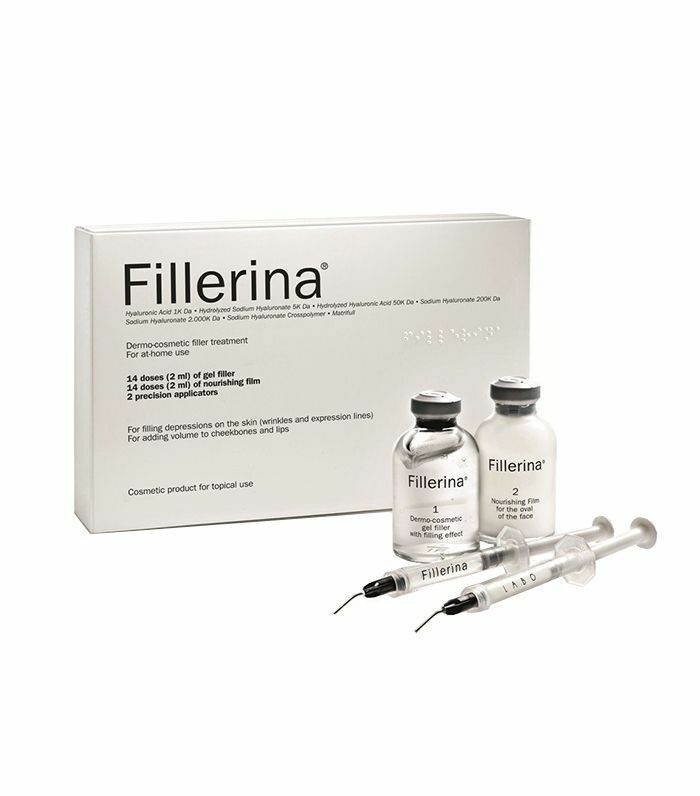 Get younger skin at home by trying Fillerina's Byrdie-approved Dermo Replenishing Treatment. Still curious about Botox? Click here to learn about the benefits of getting Botox in your 20s. Is It Possible to Correct Bad Botox?